The findings are reported in the journal Nature Sustainability. 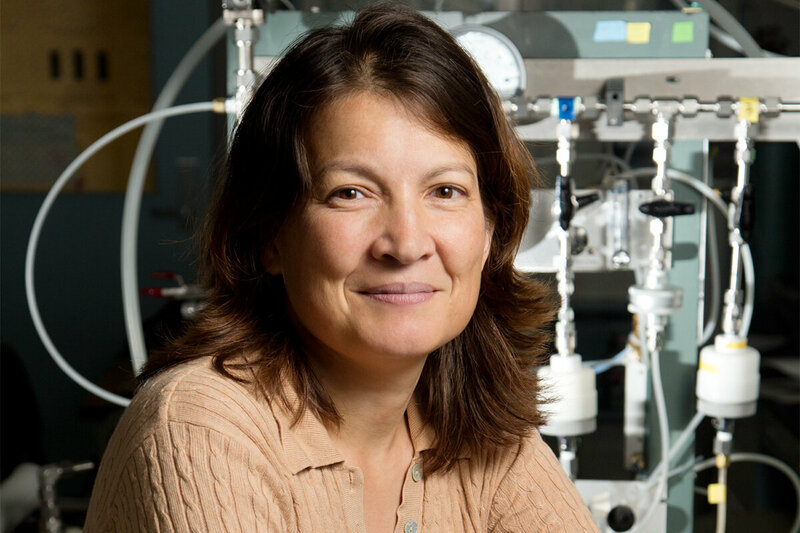 Greenhouse gas and some particulate matter emissions cause the atmosphere to heat up, but at different rates, said Tami Bond, a civil and environmental engineering professor who led the study with graduate student Liang Liu. "Particulate matter washes out of the atmosphere quickly, making its effect on climate short-lived—unlike greenhouse gases that stay in the atmosphere for decades. Particulate matter has the added drawback of causing inhalation-related diseases," she said. Civil and environmental engineering professor Yanfeng Ouyang and urban and regional planning professor Bumsoo Lee collaborated to make the modeled projections possible, along with researchers from the University of Washington, Pennsylvania State University, the Pacific Northwest National Laboratory and Argonne National Laboratory. The researchers used what they call a "system of systems" approach to model how the increased volume of shipping, mode of transport, population density and environmental policies will factor into the future health and climate impacts of land freight. The model is also set up to identify which scenarios are most harmful to the climate and which are most detrimental to human health. "Many studies use models of single systems," Bond said. "For example, trucks on roads, or how people use different goods as the economy grows, or how cities spread as their population increases. These systems all affect each other, so we had to connect them and see how they worked together." A carbon tax, which places a value on greenhouse gases emitted, could entice shippers to switch to more efficient rail transport. The models indicate this could lead to a 24 percent reduction in greenhouse gas emissions over business as usual, the greatest reduction of all scenarios modeled, the study reports. The researchers found that enforcing truck fleet maintenance was an effective way to reduce particulate emissions, cutting the projected mortality rate by about one-third by 2050. The number of misfit, poorly maintained trucks on the road is uncertain, but that attention to overall performance is an important factor in maintaining health, Bond said. The researchers also examined the effect of changing population density in cities. According to the study, increasing urban compactness could reduce freight activity but increase human exposure to particulate pollution. This scenario offers a slight improvement in health benefits over the current urban sprawl trend. However, the answer is not as easy as simply enforcing new environmental policies, Bond said. "Yes, environmental policy changes could push us toward cleaner, more efficient modes of land transport or more urban compactness, but we have to think ahead and start building up the infrastructure that supports those changes now," she said. "For example, when petroleum prices spiked about 10 years ago, shippers wanted to switch from trucks to rail, but the capacity was really insufficient." Bond said there are still many scenarios to explore with the new model, including the effects of declining or improved infrastructure and increased traffic congestion. "Our model allows for a lot of flexibility, and this type of 'system of systems' approach should be routine when investigating policy change," she said.